Let us scan your slides for optimum quality! The slide is the classic format in analogue photography. Do you remember your childhood playmates, your travels or other beautiful family moments? When did you last bring out your slide projector and look at these special moments? 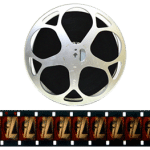 Now you can have your slides digitised and enjoy them soon on your TV or tablet, in the same way you already enjoy your images captured on mobile phone or digital camera. We scan your slides at very high quality and restore each image manually pixel by pixel. We usually do not accept labels. All folders are named according to their format. For example, the folders S1, S2, … etc. are created for your slides. Markers e.g. The lettering of an envelope containing a number of slides will also be scanned for free and saved as the first photo in the respective folder. We scan your slides in the submitted order. You can therefore, if desired, separate and sort your pictures thematically. We keep this distribution and save the batched files in separate folders. But you do not have to sort your pictures in advance if you do not want to! We scan all submitted slides. If you only want to have certain slides scanned, please sort them out first. Which Formats does your Scanning Support? 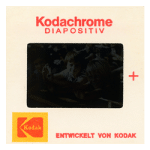 We scan various formats of slides like Standard Slides, Kodachrome Slides, Glass Slides, Medium Format Slides, Ektachrome Slides. The sizes we scan include 35mm, 110, 126, 127 slides. At what resolution do you scan the slides? We scan standard slides at 3000 DPI. 3000 DPI is the most optimal resolution to scan 35mm film formats. Any resolution above 3000 DPI gives a higher file size without much improvement in the quality. 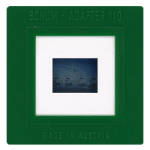 For medium format slides, we scan at 1200 DPI. Do you scan medium format slides? Yes, we do scan medium format slides. We scan 120/220 medium format slides, 35mm, 110, 126, 127 slides. My slides are very old. Can you remove mold while scanning the slides? We generally use a cloth to clean the slides before scanning. Sometimes, we use special liquid to remove the mold. If the mold is extreme, we use restoration process to remove the mold on digital files. What is the correct orientation for scanning slides? 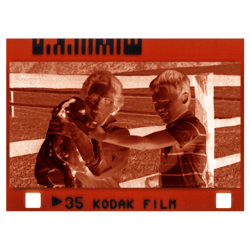 Most slides will bear a brand logo or the phrase “this side facing the screen.” It is this side of the film that the scanner detector should read. The actual insertion procedure will vary from scanner to scanner. Many of my slides are faded. 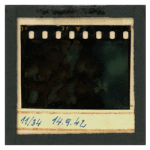 Can you restore the colors? 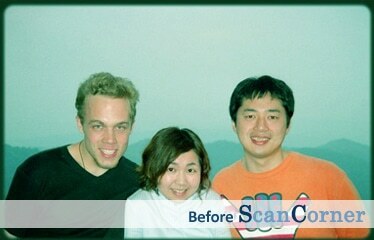 At ScanCorner, we provide free manual color correction and restoration for each slide. This is part of our process and is included in our price. 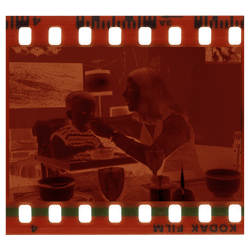 Our restoration experts spend 3 minutes on each image to restore the colors, adjust the brightness and remove dust & scratches. We use Adobe Photoshop Elements editing software to do the restoration work. Do you scan glass or glass mounted slides? We do scan glass or glass mounted slides. We remove the glass frame, put the slide in the plastic slide holder and scan the slide. Sometimes, we scan the slides as they are and use Adobe Photoshop Elements to restore the scanned slides. How do you ensure that the slides won't get cropped? Most slides are of standard size and the photo scanners are designed to suit this shape. So, for standard slides no cropping happens. But there are some non-standard slides like a rectangular negative fit into the standard slide. In such cases, photo scanner crops the image as they aren’t designed to scan these non-standard negatives. 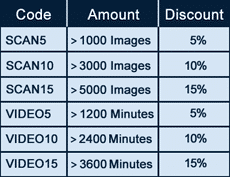 At ScanCorner, we don’t scan the whole frame and manually crop the image part. This way, we ensure that the slides won’t get cropped. Do you also do image restoration after scanning the slides? Yes, we do scan and restore each slide. When you scan a slide at a very high resolution, you can find lots of dust and scratches on the slide. Even after employing Digital ICE, there are still some dust and scratches left on the slide. We use Adobe Photoshop Elements to restore the slides. We remove the scratches, perform color correction, do brightness and shadow adjustment on the slides. Our experts spend at least 3 minutes to restore each and every slide. How to pack slides to ship to ScanCorner? Your personal memories are very important to us. Therefore, each negative strip or slide is cleaned by hand before it is scanned. 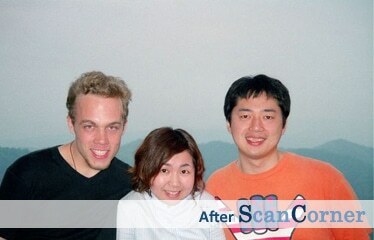 For the best result and the best quality, each scanned image is also manually post-processed. No speck of dust will detract from the pleasure of your memories! 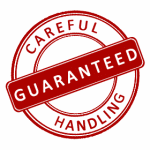 If you are not satisfied with the result, your order will be reworked. You will be informed about every working step by email. After digitisation and before shipping, you will receive a preview of your order. Our workplaces have no internet access so your new digital files are secure. Your online gallery is only unlocked for you and will be removed after the agreed term.